[ADVERT]Looking for cheap drinks? At Bar Century, a good bar to go to for cheap pre-drinks, you'll pay around $3 - $5. 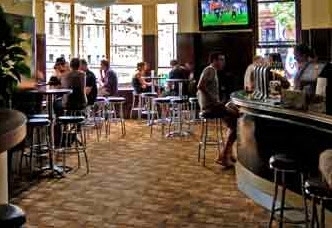 The bar is spread out over a few levels. The first is quite casual and small, but it has a nice view of the city. It gets crowded quick on Friday nights so make sure to by a few drinks and line up early. The next level is a little bit bigger and has a dance floor. It's similar to the first level but with louder dance music. I find the setting of the bar a little bit dodgy and squalid, and a word of advice - do not have straight vodka shots from Bar Century (the drinks are not cheap because it's great quality alcohol). However, it is a great place to go for pre-drinks before a big night out in the city, without breaking your bank account.